At Abbingdon Knight we offer a comprehensive service to advise and assist expats with their UK taxes. Abbingdon Knight Partners have been offering these services in excess of thirty years and have vast experience in this area of practice. 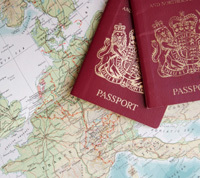 Working or moving abroad creates complex tax and social security implications for the individual. At the same time, it opens up opportunities for saving tax which often go unused. Tax regulations present a minefield for the unwary and can consume time and energy which would be better focused on the assignment or adapting to life in a new country. We have associations with qualified and trusted professionals in specialised areas who can provide you with access to advice and services in areas such as overseas tax & immigration. Contractors working abroad in particular could benefit from our associates services, ITSinternational, www.itsinternational.ltd.uk. For any other professions or businesses please contact us and we will refer you to the most appropriate associate service provider.